"Island gutters strongly recommend the seamless, six inch, high capacity, half round gutters for most residential projects. Six inch half round gutters can handle heavy rainfall and create a significant and powerful architectural accent." "The smaller, half round, five inch gutter systems cannot effectively manage heavy rainfall and are not as visible and therefore make less of an impact regarding the design and finished look of your home." "Island gutters is recognized and respected as long island's most knowledgeable and experienced designer and installer of standard k-style and half round architectural gutters in aluminum, galvanized and copper." Island Gutters installs and replaces rain gutters and leaders. We offer an outstanding 25 year warranty including materials and labor. 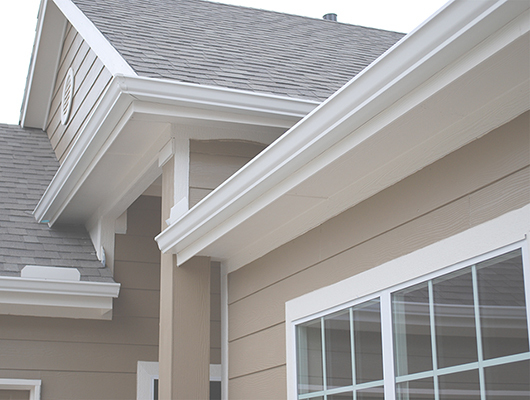 Island Gutters uses only the top of the line quality products. We use seamless rain gutters and leaders. Our standard product is high quality Alcoa aluminum gutters. A person's home is a reflection of their unique taste and style. As such, no two residential projects are ever the same. We understand the challenges of residential gutter projects, and are committed to providing a wide range of products and services to help you meet these challenges. Whatever the need, you can trust Island Gutters to supply the products and services you need at unbeatable prices! 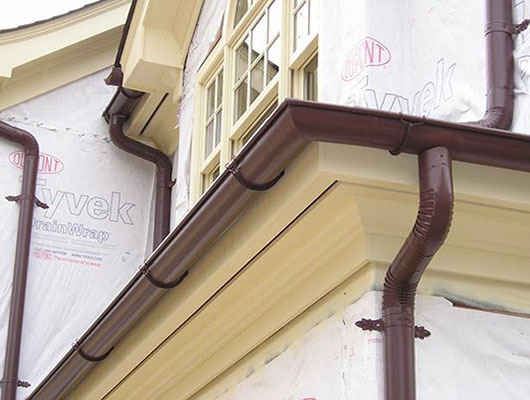 Island Gutters Inc. serves the construction industry in Long Island, NY. We provide onsite fabrication and installation or "drop off service" for contractors and architects. We offer 5" residential and 6" commercial gutters for increased rainwater carrying capability. 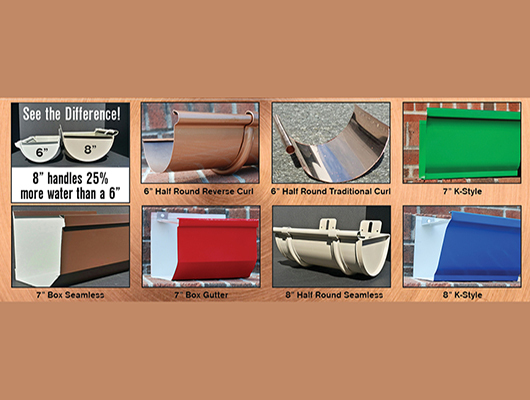 Half round gutters are available in 5" standard residential, 6" high capacity, and 8" heavy duty.